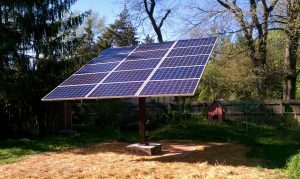 There are two loan programs that are available to our customers to help offset the cost of installing solar panels. One is a HIP loan and is available for Hamilton County residents and one is the EcoLink program which is available for Ohio residents. This program allows Hamilton County residents to borrow money to repair or remodel their homes or rental property at interest rates 3% below the lowest rate a bank would normally offer. Available in participating Hamilton County communities. Milford City does not participate. Most types of permanent repairs or improvements are allowable. The HIP loan is structured as a home equity loan, secured by a second mortgage on the property. Most of the banks are unwilling to approve the loan if they cannot obtain a secondary lien on the property. However, you should discuss your options with a participating lender. Five banks participate in the program-Fifth Third, First Safety, Key Bank, North Side bank, and US Bank. Rates vary from bank to bank. Closing costs vary from bank to bank. It is worth it to shop around. Traditionally, the lowest interest rates have been given by Key Bank and US Bank. Shelley Cummings(513-533-7716) at Key Bank is very knowledgeable about the program. Must be used to complete energy-efficient upgrades in your home. The maximum loan amount is $50,000. A homeowner can opt for a seven-year rate reduction if the loan is for more than $25,000. The homeowner must use at least 50% of the loan proceeds for the installation of qualifying energy-efficient products; the other 50% of the loan can relate to other home improvement projects. There are no fees for the preparation, processing, reporting or monitoring of any ECO-Link application to the Treasury. washing machines, dishwashers, furnaces, hot water heaters, freezers, refrigerators, heat pumps, air conditioners, windows, doors, roofing, insulation, septic tanks, boilers, programmable thermostats, geothermal units, solar panels and small scale wind turbines.